Download content for SQL Server, Windows Azure, and other Microsoft technologies in e-book formats. Reference, guide, and step-by-step information are all available. All the e-books are free. New books will be posted as they become available. • Unit Testing your Database Changes o Learn about two tools that can help you write database tests, in TSQL, and run them as part of your CI/CD pipeline. • Celebrating 1M installations milestone for mssql extension for VS Code with another update o A new update for the mssql extension for VS Code is now available on the VS Code Marketplace. • Drill Down & Up in Power BI Mobile apps o Now in Power BI Mobile app you can continue to analyze your data and gain even more insights by using drill down and drill up in your report’s visuals. • Calling Http endpoints in T-SQL using CURL extension o SQL Server Database Engine don’t have built-in functions that would enable you to send information to some API using http protocol. If you would need to call some REST endpoint or a web hook from the T-SQL code, you would need to use WebClient or WebRequest classes from .Net framework and expose them as T-SQL function or procedure. In this post you will see how to create that kind of extension. Microsoft Data Management Gateway is a client agent that enables cloud access for on-premises data sources within your organization. 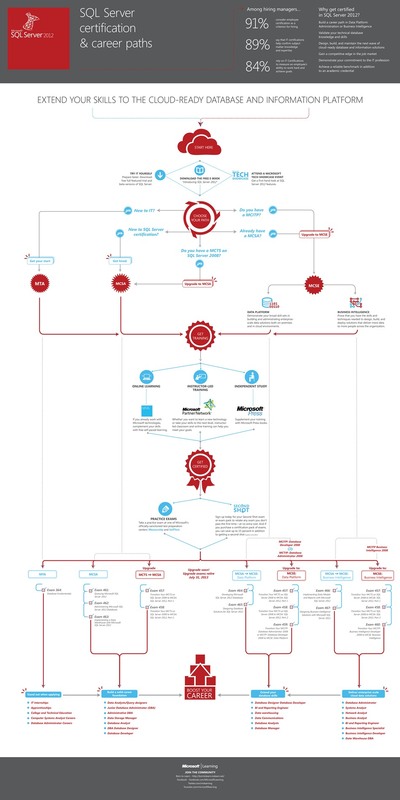 Use this test tool to validate application compatibility and certify your application for Windows Server 2016 certified logo and Hyper-V certified logo. Use this tool to see if your hardware is ready for Device Guard and Credential Guard. You can also use this to enable Device Guard or Credential Guard. Microsoft Advanced Threat Analytics (ATA) 1.7 provides ongoing improvements to the ATA Center and Gateway components. Install Microsoft Dynamics CRM 2013 for Outlook, also known as the Outlook client. CRM for Outlook enables access to your CRM data through Outlook. The Skype for Business App SDK enables apps to seamlessly integrate messaging, audio, and video experiences. See http://aka.ms/skypeappsdk to learn more. The Microsoft Azure Automation Graphical Authoring SDK enables developers to create and edit Graphical Runbooks for use with the Azure Automation service. SQL Server Products & Update ? Each of the following links provides information for all of the applicable products and technologies listed in the Applies To section of this page. Microsoft SQL Server 2008 R2 Parallel Data Warehouse 11/9/2010 7/8/2014 7/9/2019 Hardware products will receive 5 years of support following Microsoft’s end of sales date for the Major Product version. Minor Product releases follow the Support Lifecycle of their respective Major Product versions. Microsoft SQL Server 2008 R2 Service Pack 3 9/26/2014 Review Note Review Note Support ends 12 months after the next service pack releases or at the end of the product’s support lifecycle, whichever comes first. For more information, please see the service pack policy athttp://support.microsoft.com/lifecycle/#ServicePackSupport. Microsoft SQL Server 2008 Service Pack 4 9/30/2014 Review Note Review Note Support ends 12 months after the next service pack releases or at the end of the product’s support lifecycle, whichever comes first. For more information, please see the service pack policy athttp://support.microsoft.com/lifecycle/#ServicePackSupport. Microsoft SQL Server 2012 Parallel Data Warehouse 7/12/2013 10/9/2018 Review Note SQL 2012 PDW has been rebranded as APS (Analytics Platform System). APS hardware and the server software configured and running on the appliance hardware shall receive five years of support from General Availability of APS. Microsoft SQL Server 2012 Service Pack 2 6/10/2014 Review Note Review Note Support ends 12 months after the next service pack releases or at the end of the product’s support lifecycle, whichever comes first. For more information, please see the service pack policy athttp://support.microsoft.com/lifecycle/#ServicePackSupport. Microsoft SQL Server 2012 Standard 5/20/2012 7/11/2017 7/12/2022 1/14/2014 Support ends 12 months after the next service pack releases or at the end of the product’s support lifecycle, whichever comes first. For more information, please see the service pack policy athttp://support.microsoft.com/lifecycle/#ServicePackSupport. Microsoft SQL Server 2014 Service Pack 1 4/14/2015 Review Note Review Note Support ends 12 months after the next service pack releases or at the end of the product’s support lifecycle, whichever comes first. For more information, please see the service pack policy athttp://support.microsoft.com/lifecycle/#ServicePackSupport. “Microsoft Certified Systems Administrator” to “Microsoft Certified Solutions Associate.” Today, the MCSA usually requires taking and passing two or three exams (two for the Windows 7 and 8 desktop and Office365 versions, and three for the Windows Server 2008 and 2012 versions and for the SQL Server 2012 and SQL Server 2008versions as well). The number of exams required to earn an MCSA is either two or three. MCSA: Windows Server 2012 can lead to a variety of MCSE credentials, it is sure to be highly sought-after and widely pursued. It’s also interesting that the Windows desktop MCSAs for Windows 7 and 8 currently do not lead into desktop-focused MCSE credentials; even MCSE: Desktop Infrastructure requires earning the MCSA: Windows Server 2012. Required Exams: Earning an MCSA requires passing either two (Windows 8, Windows 7 or Office365) or three (Windows Server 2012, Windows Server 2008, SQL Server 2012 or SQL Server 2008) exams. Exam Costs: Microsoft exams typically cost $$$ each. Prices may vary based on specific geography and in some locations, taxes may apply. More info look at IT Cert. MCSA specified here are associated with one or more Microsoft Official Curriculum course offerings. Look for online learning. Practice tests, self-paced training, distance learning, books , online resources and more. Visit MS Learning for resources: http://www.microsoft.com/learning/en-us/default.aspx#tab2 i have details information on other page. Ruby has taken over the ninth position of Perl. Thanks to this Ruby is now the third interpreted programming language that leaves Perl behind. The other two are PHP and Python. Is Perl on its way out of the top 10? Time will tell. The TIOBE Programming Community index is an indicator of the popularity of programming languages. The index is updated once a month. The ratings are based on the number of skilled engineers world-wide, courses and third party vendors. The popular search engines Google, Bing, Yahoo!, Wikipedia, Amazon, YouTube and Baidu are used to calculate the ratings. Observe that the TIOBE index is not about the best programming language or the language in which most lines of code have been written. The index can be used to check whether your programming skills are still up to date or to make a strategic decision about what programming language should be adopted when starting to build a new software system. The definition of the TIOBE index can be found here. Last month we asked ourselves the question what language could become the next big new programming language. We suggested several candidates such as Scala, Erlang and Clojure. Clearly, the new thing was expected to come from the functional programming field. A functional language not explicitly mentioned was Haskell. And this month it was Haskell that jumped from #35 to #25. Looking at the TIOBE trend graph of Haskell (starting in 2003) it shows a constant rise, with peaks in 2006, 2010 and now in 2012. This certainly sounds promising. The complete top 50 of programming languages is listed below. This overview is published unofficially, because it could be the case that we missed a language. If you have the impression there is a programming language lacking. The following list of languages denotes #51 to #100. Since the differences are relatively small, the programming languages are only listed (in alphabetical order). The definition of the TIOBE index can be found here.